This is a good quality Phenolic PCB board. 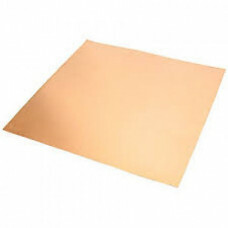 It is also known as Copper Clad Board. This board can be used to build your own circuit boards, breakout boards, DIY board and other Industrial boards and applications. This board is made of high-quality phenolic laminate and has size of 3x2 inches.